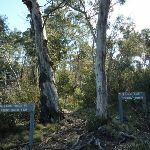 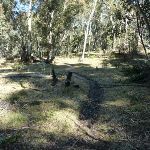 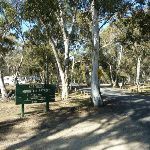 Turn right: From the intersection, this walk follows the track directly away from the valley view, heading between the two trees to follow the ‘Sawpit Track to Picnic Area 1KM’ sign. 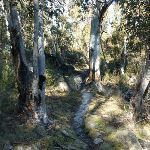 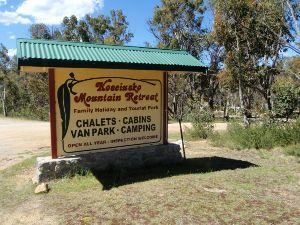 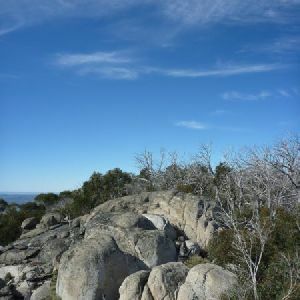 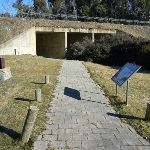 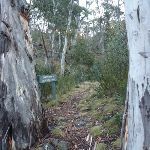 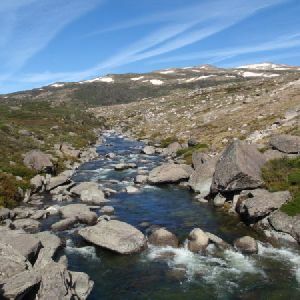 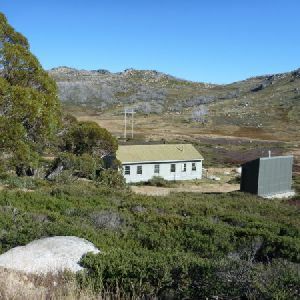 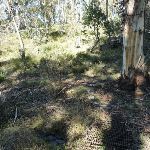 The track leads gently up through the open forest with a scattering of granite boulders for about 800m, coming to a dirt track next to unit 7, at the edge of the Kosciuszko Mountain Retreat. 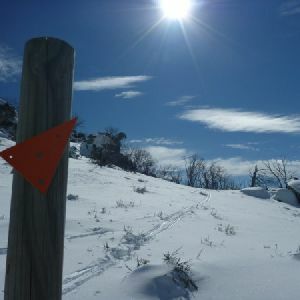 Here is a timber ‘Pallaibo Track 1KM’ sign pointing back along the track. 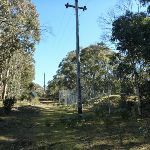 Veer left: From beside unit 7, this walk heads further into the retreat and turns left to follow the main dirt road through the park. 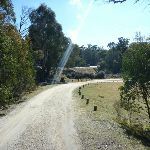 After about 150m, the dirt road leads to a gravelly intersection just outside the ‘Office’ and ‘Kiosk’ at the ‘Managers Residence’. 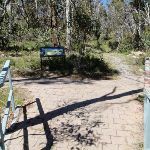 The walk continues straight (past the public phone) along the gravel road and soon passes a yellow ‘DIP’ sign to come to a four-way intersection and a large green ‘Kosciuszko Mountain Retreat’ sign. 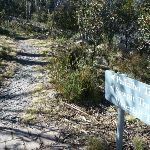 Turn right: From the intersection, this walk follows the ‘Walking Track’ and ‘Picnic Area’ signs downhill along the dirt road. 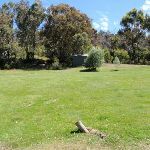 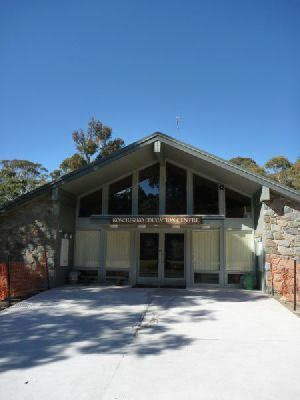 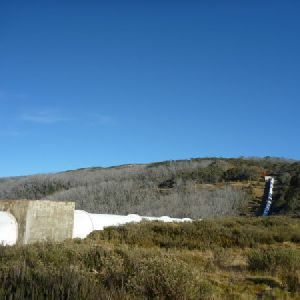 The road soon passes a historic stone chimney (on your right), before winding down past the toilet to the parking area and the signposted ‘Waterfall track’ trackhead on the eastern side of Sawpit Creek Picnic Area. 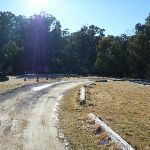 Turn right: From the intersection, this walk heads away from Kosciuszko Rd, going just a short distance across the car park to the large information sign and parking area. 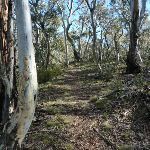 Around 1.7km of this walk has gentle hills with occasional steps, whilst the remaining 460m is flat with no steps. 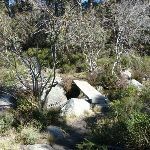 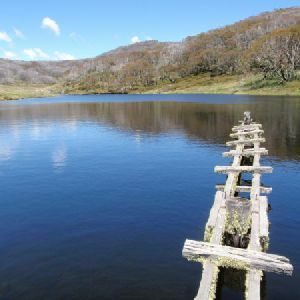 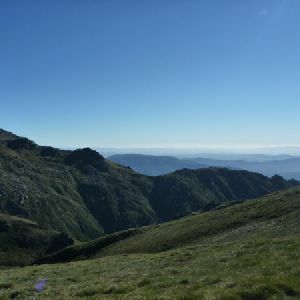 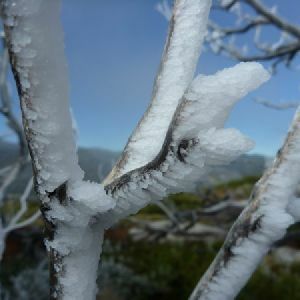 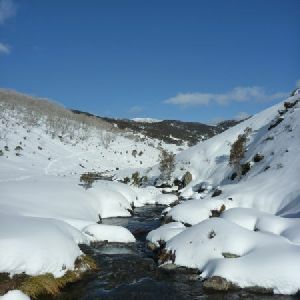 Around 1.7km of this walk follows a formed track, with some branches and other obstacles, whilst the remaining 460m follows a smooth and hardened path. 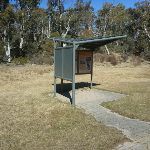 Around 1.8km of this walk is clearly signposted, whilst the remaining 440m has directional signs at most intersection. 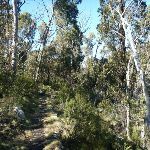 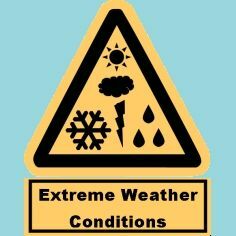 Around 1.2km of this walk is affected by storms that may impact your navigation and safety, whilst the remaining 960m is not usually affected by severe weather events (that would unexpectedly impact safety and navigation). 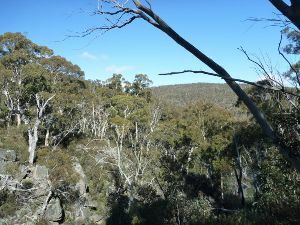 Around 1.8km of this walk is close to useful facilities (such as fenced cliffs and seats), whilst the remaining 440m has limited facilities (such as not all cliffs fenced). 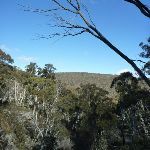 A list of walks that share part of the track with the Sawpit Walk walk. 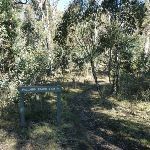 A list of walks that start near the Sawpit Walk walk. 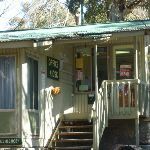 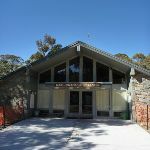 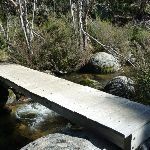 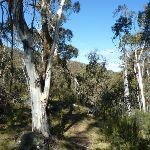 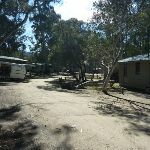 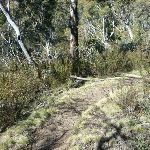 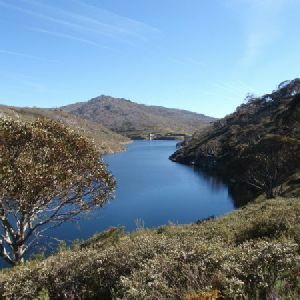 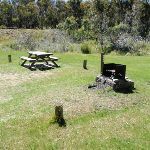 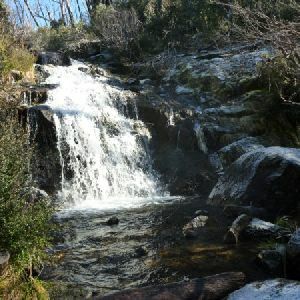 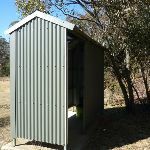 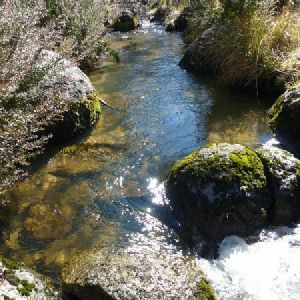 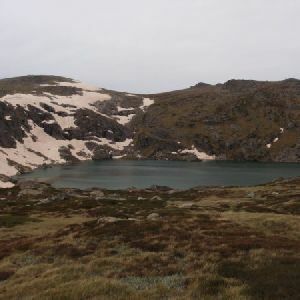 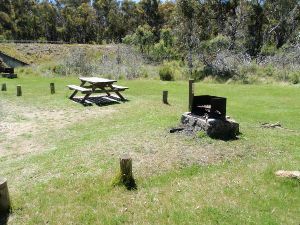 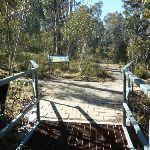 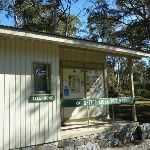 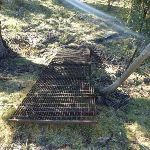 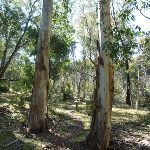 http://new.wildwalks.com/wildwalks_custom/includes/walk_fire_danger.php?walkid=nsw-kosciunp-st Each park may have its own fire ban, this rating is only valid for today and is based on information from the RFS Please check the RFS Website for more information.